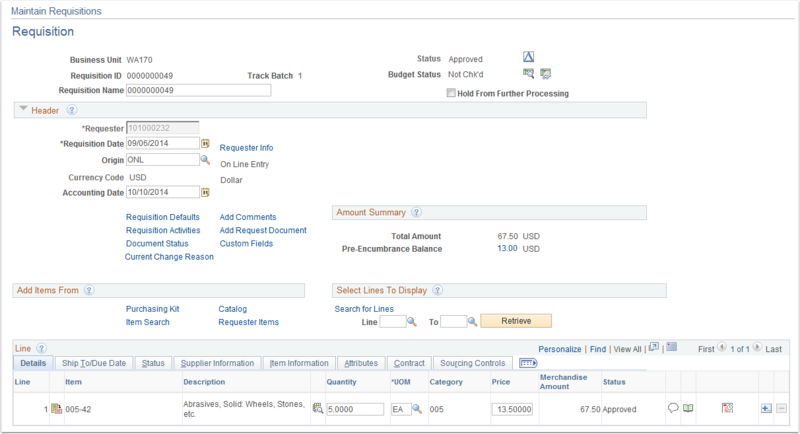 Purpose: Use this document as a reference for modifying an existing requisition in ctcLink. 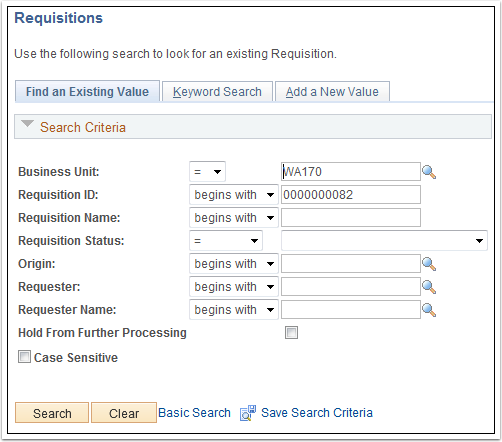 Enter additional search criteria or enter the Requisition number in the Requisition ID field. Click the Create Header Change button. Click the Details button next to the item number. Click the Line Status button. Note: If this triangle is not visible, it may be because your status is not approved. Click the OK button to acknowledge the Message. 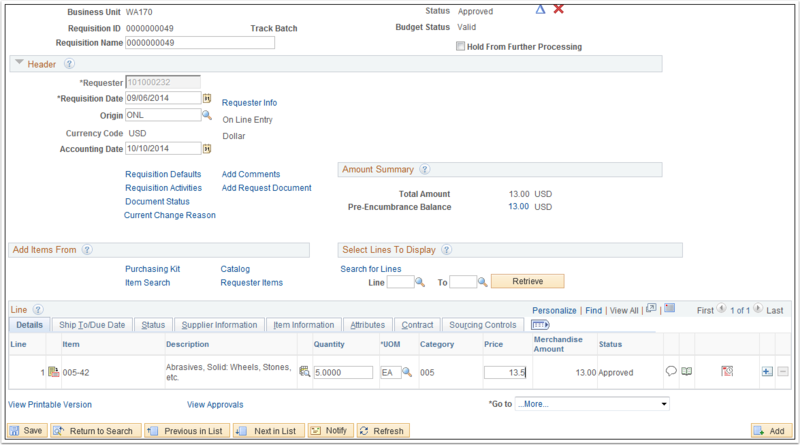 As appropriate, update the item quantity in the Quantity field. As appropriate, update the item price in the Price field. 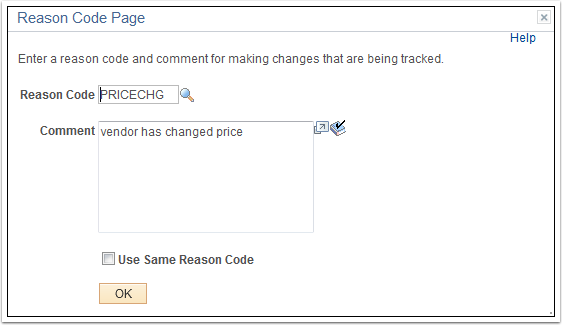 Use the Reason Code Page to enter your reason for modifying the requisition. Completion is mandatory. If it didn’t default, enter or select the reason in the Reason Code field. Doing so willpopulate the Comment field. Click the OK button. Note that the Track Batch field now reflects the number of times the Requisition has changed. The audience is Purchasing Staff. But can any staff modify a requisition? Does it depend on the role? Only staff with security clearance/access can modify a requisition.